TMS software is not responsible for the use of TMSFMXWebOSMaps. The purchase of TMSFMXWebOSMaps does not include any license fee that you might possibly be required to pay to OpenStreetMaps/OpenLayers. It will depend on your type of usage of the OpenStreetMaps/OpenLayers services whether a license fee needs to be paid to OpenStreetMaps/OpenLayers. It is the sole responsibility of the user or company providing the application that integrates the OpenStreetMaps/OpenLayers services to respect the OpenStreetMaps/OpenLayers terms and conditions. TMS software does not take any responsibility nor indemnifies any party violating the OpenStreetMaps/OpenLayers services terms & conditions. TMS software cannot guarantee the current or future operation & uptime of the OpenStreetMaps/OpenLayers services. 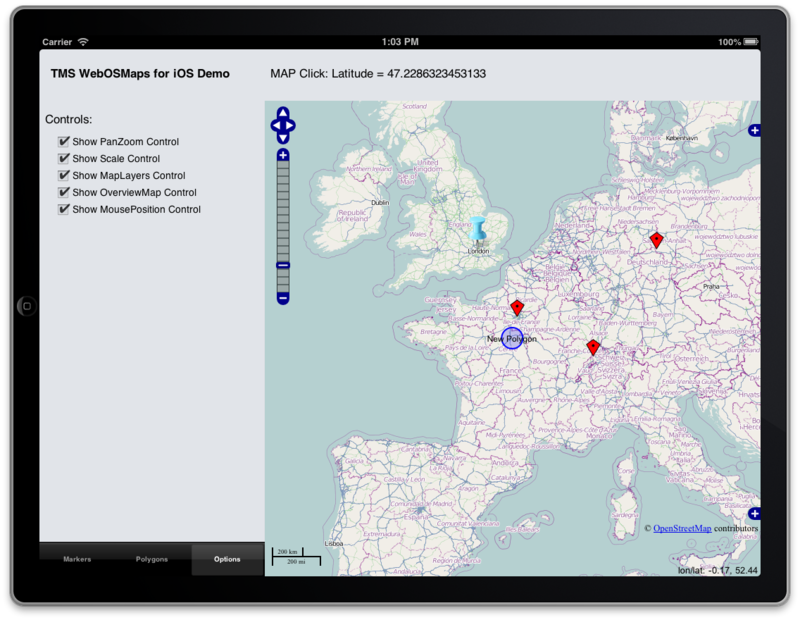 TMS software offers the consulting and support for TMSFMXWebOSMaps in good faith that the OpenStreetMaps/OpenLayers services are reliable and future-proof services. In no case, TMS software shall offer refunds or any other compensation in case the OpenStreetMaps/OpenLayers services terms/operation change or stop.